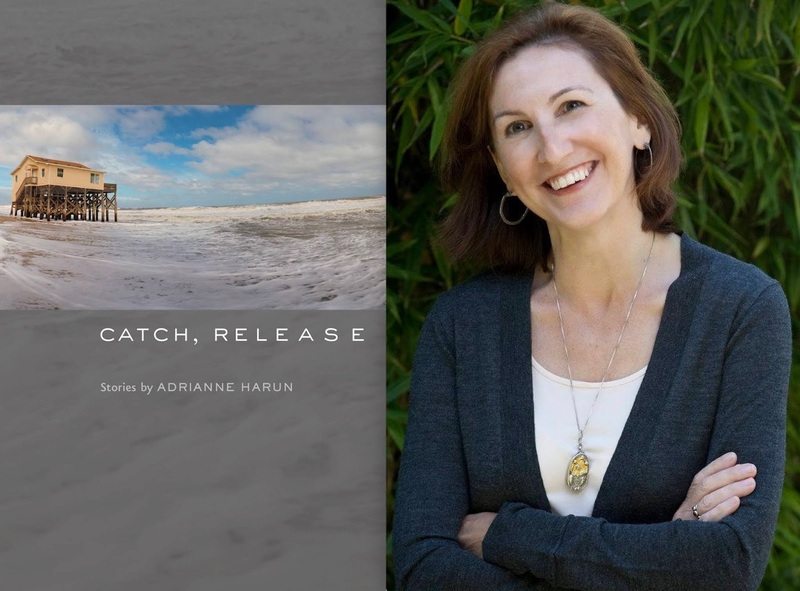 In the 23rd in a series of posts from authors of 2018 books entered for The Story Prize, Adrianne Harun, author of Catch, Release (Johns Hopkins University Press), focuses on the practice of writing. Be kind to yourself. Don't judge. Don’t shame. Don’t bully. Most of us wouldn’t be a fraction as unkind to others as we can be to our writer selves. Remember, writing is a choice, not a single route to self-definition. Truth matters. We sometimes circle difficult material, not quite wanting to expose ourselves. Or we want to be clever in ways that inadvertently obscure. Or we veer off into tangential investigations. Research quiets me, and not in a good way. When I feel the need to wander away from a story that is proving inadequate or troublesome with the excuse of “research,” all trembles to a stop. I have “work to do,” diving down one cyber rabbit hole after another, gathering notes and scraps along the way. “Useful?” I’ll scribble. “Correct? Really?” Fiction isn’t reality. It’s a form of truth-telling. Try not to drift down too many byroads, worrying about how smart your story will be or who you might offend. Just tell the truth. A scene or action won’t be fully inhabited unless it is emotionally resonant. Be equally honest emotionally. Your readers will appreciate and engage more readily. Honestly, anything taken in excess will make you sick. Limit/get the hell off social media. Go cold turkey for a couple of weeks, and you’ll feel as if you’ve taken up marathon running—light, strong, and a little sanctimonious (a little’s okay). Don’t let personal history rule your narrative, unless personal history is your narrative. In that case, give that personal history its own agency and clarity. (My agent is laughing right now.) But truly, backstory, like a too-long date with an acquaintance obsessed with his glorious or “interesting” past, can deaden and delay a promising story relationship. Add structure to your life. Working through revisions with story shape in mind is akin to suddenly having an architect beside you while you scrutinize your sagging DIY project. Considering structure and form and contemplating where and how light and air get into your story can illuminate for you where the holes lie, where the story flails and/or is supported. Move around purposefully. Give your characters more to do. One of my dear writer friends used to proclaim, “If you want action, go to the track.” But it’s not action a story demands as much as a sense of purpose, that seductive inner propulsion that comes from having something utterly necessary to do. Sing. The glories and rhythms of language define us and our characters and elevate even the most mundane exchanges. Really, can you imagine living without music? Pay attention to the resonance and accuracy of your prose, sentence by sentence, word by word. Finally, find humor wherever you can. Humor enlivens and quickens fiction. Wonderfully, a funny passage also makes a reader pay closer attention even when the subject itself (see #2 above) is uncomfortable.